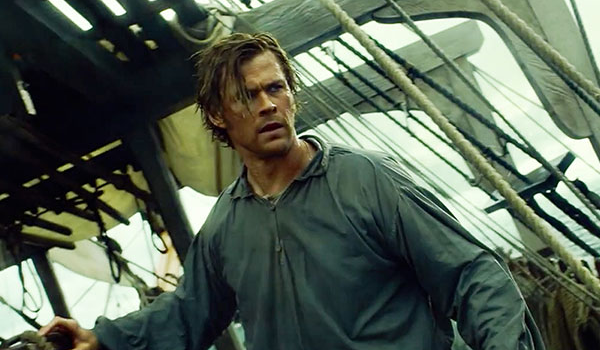 This week we're focusing on one of early December's few wide releases, In the Heart of the Sea. How will Ron Howard's epic fare in the holiday market when it opens December 11? - Director Ron Howard's strong history of critical and commercial crowd-pleasers are plenty of reason to expect good things here. - Star Chris Hemsworth's popularity has continued to rise thanks to his turns in the Marvel Cinematic Universe. - Should awards buzz kick in, this could be a strong alternative to other holiday fare going into the new year. - The film will open in a heated market, facing no less than Star Wars: The Force Awakens in its second weekend. - It's been a few years since Howard put out a true blockbuster, despite frequently receiving strong marks from critics and audiences. - Hemsworth's drawing power as a leading man in a high profile film outside Marvel hasn't been fully tested yet, so this is something of a litmus test. The ensemble cast should back him up very well in that regard. Check out our predictions for this and other upcoming films in the table below. In the Heart of the Sea Dec 11, 2015 Warner Bros. The 33 Nov 13, 2015 Warner Bros.
Our Brand Is Crisis (2015) Oct 30, 2015 Warner Bros.
Phil Contrino, Daniel Garris, and Alex Edghill contributed to this report. Star Chris Hemsworth's popularity has continued to rise thanks to his turns in the Marvel Cinematic Universe. !